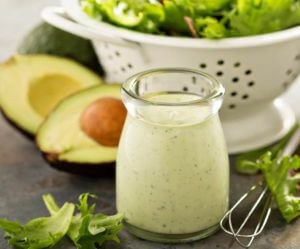 This fresh dressing is perfect for topping your favorite fresh summer salads. Blend all ingredients, except parsley, until smooth. Add a little more water if necessary to achieve desired consistency. Mix parsley in with a spoon and serve with salads, vegetables, or as a dip.